Angular 7 is a trend in modern web processing. We have the ability to create dynamic reactive applications (regular websites). You do not need to reload the pages. When you go to a new page, it appears instantly. One of the key points is the basic set of directives. They allow you to describe the behavior of individual elements and extend the syntax of HTML. The next moment is a quick rendering. Thus, by using shadow DOM technology, can make rendering be faster. Do not forget about the Angular Mobile Toolkit. It will allow you to create web applications. You will be able to download it instantly on any device, even without an Internet connection. Do you want to be ahead of your competitors? Start now! 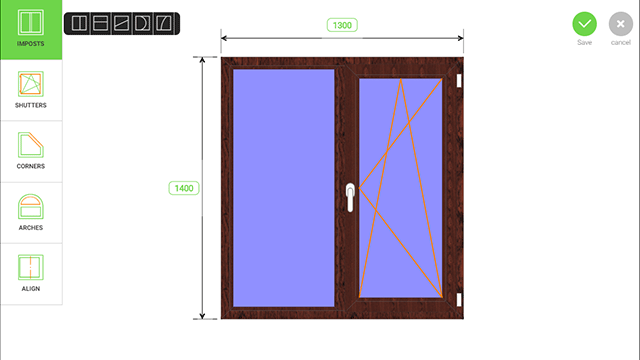 To start with, it is a very engaging project that allows users to order window designs from home. We implemented 3D realistic visualization of the design, made the accurate calculation of costs and took into consideration scraps and rests. Multi-Level Marketing affiliate program and the ability to integrate this program makes product promotion simple and effective into any partner site.